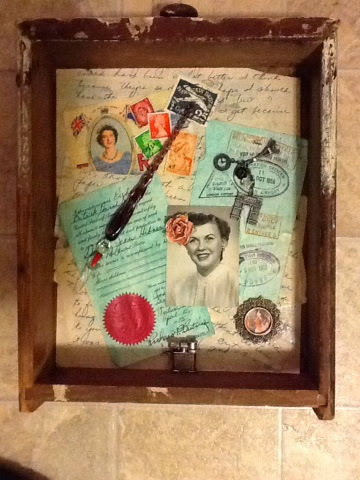 Today I worked hard to finish off the art-a-day challenge with this Assemblage. A close friend had an aunt who traveled all over the world with a man she wasn't married to (scandal!) and lived a very exciting life. She was also an amateur writer. Here's to you Dorothy!